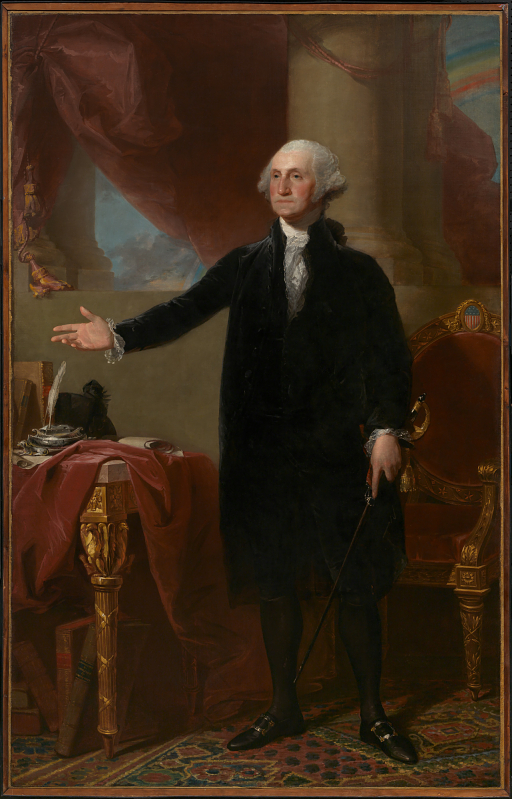 After 18 months of careful conservation and analysis, Gilbert Stuart’s “Lansdowne” portrait of George Washington is back on view in the newly refurbished America’s Presidents gallery. In addition to refreshing the physical space of the presidential exhibition (improved graphics, lighting, paint, etc.) the Portrait Gallery has also enhanced the visitor’s experience through new labels, wall texts, and the addition of interactive touch screens that allow people to explore the context of each presidency and access other visual material. A new website accompanies the permanent installation and a new edition of the museum’s book of presidential imagery will be published. America’s Presidents lies at the very heart of the museum’s mission to tell the American story through individuals who have shaped the country. It showcases images of the past 44 U.S. presidents, starting with Washington and continuing to Barack Obama. Six presidents are given expanded attention because of their significant impact on the office: George Washington, Andrew Jackson, Abraham Lincoln, Theodore Roosevelt, Franklin D. Roosevelt, and Ronald Reagan.